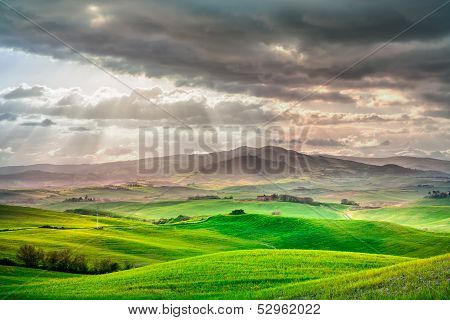 Places › Buy Poster of Tuscany, Rural Sunset Landscape. Countryside Farm, White Road And Cypress Trees. Poster of Tuscany, Rural Sunset Landscape. Countryside Farm, White Road And Cypress Trees.